We believe restoring an antique clock is more than a casual tinkering. It requires a methodical process of disassembly, cleaning and reworking of worn parts such as pivots, pinions and bearings. It involves manufacturing of broken or missing parts, polishing, reassembly and finally testing and adjusting. Replacing worn bearing holes with bushings is an art form in itself. It should be done in such a manner that will create a lasting friction free bearing and not deface the movement or compromise the integrity of the clock. My interest and love for clocks started when my wife Susan, an antique dealer bought antique clocks that needed to be worked on. My quest for knowledge of clocks lead me to read just about every book available on the subject of clock restoration and to meet and work with some very experienced old masters: Herschel Burt, curator-clock restorer of the Willard Museum in Grafton Massachusetts, Harmon Hunt- master watchmaker and tower clock restorer, from Hamilton Massachusetts & Island Falls, Maine and clock repairman Charles Hershey from Bangor, Maine. They helped open up the world of antique clocks and tower clocks to us. 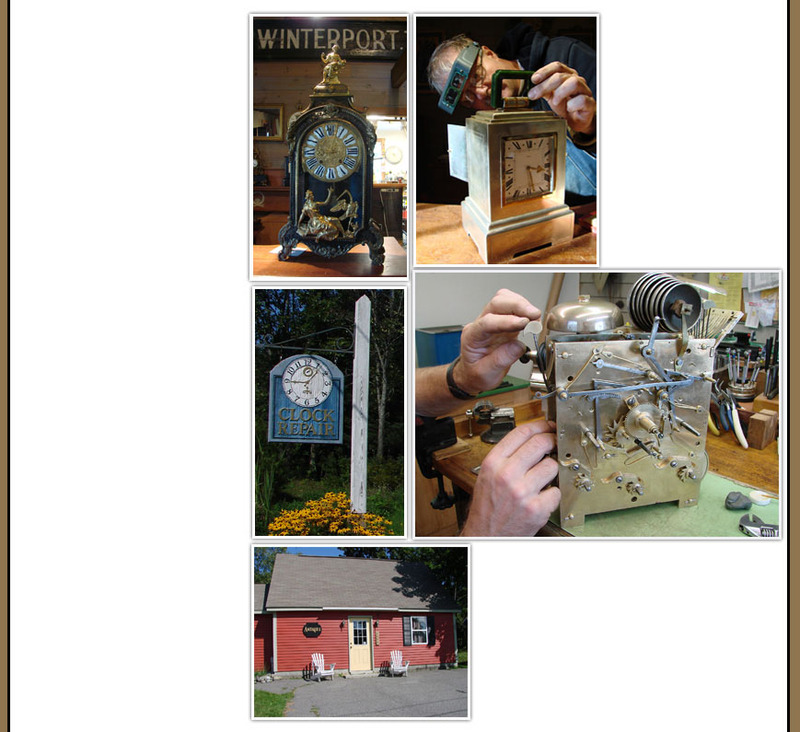 In 1993 we built a building near our home in Winterport, Maine and opened up an antique shop and a full service clock shop. Since then we have sold, restored and repaired thousands of clocks as well as numerous tower clocks. I take pride in my work and never let a clock go until I am completely satisfied with the performance of the clock. My dedication to my job and my customers has made our shop one of Maine’s most respected clock shops. 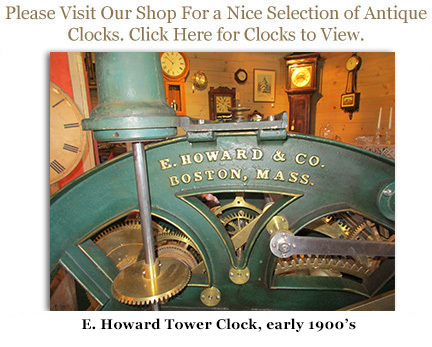 We offer professional tower clock services to fit your needs and budget in Maine and New England. Click here to view some of the Tower clocks and bells we have restored.